I have never heard of a religious leader like him in our time. You can see and feel how much he loves God and Jesus through his speeches and the vast range of activities for peace he initiated. Three generations of Moons family together were passing the torch of peacemaking in the Old Continent. On the photo, Rev. and Mrs. Moon, together with their son, Hyung Jin Moon and Yeon Ah Moon. Their tour included 7 nations in Europe and 1 nation in the Middle East. Rev. Moon had a vision of Jesus Christ, in 1935. Jesus ordered him to fulfill the unfinished task of establishing God’s kingdom on earth. 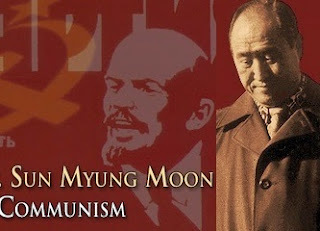 Despite the fierce attacks, the Korean born Sun Myung Moon, could win recognition from political leaders in Washington and around the globe. His work and teaching had enormous impact on shaping our century. Throughout the years numerous, of so called 'experts', have predicted his demise and decline. Yet Rev. Moon's organizations and foundation grew to an unprecedented world level in less than 50 years. Some say that the ranks of the church's U.S. followers have thinned, but in fact today their children are more than the parents. In recent articles 'The New Moons: The Second Generation' where described as bringing a new life in the Organization's work. Worldwide, the core members of the church may be about 200,000 or 300,000, but with the associates of their Peace organizations, membership figures go way over hundred millions. 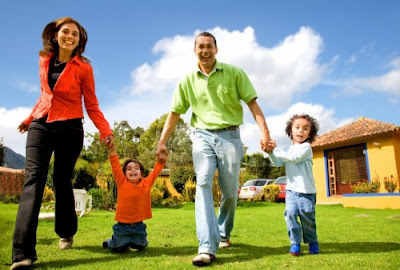 Those who received the Marriage Blessing around the world are close to 400 million families. They might not be core members of Rev. 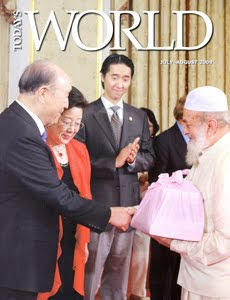 Moon's organizations, but they are inspired by the main vision for "World Peace through Ideal Families". “To us, the messiah is the one who re-creates the original ideal on earth, which is passing on the tradition of loving families,” said Mr. Schanker, main spokesman of the Church. “The kids will take the traditions and values to a new level.”, he continued. The Rev. 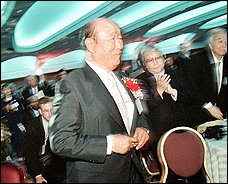 Sun Myung Moon, founder of the Unification Church, has turned over day-to-day control of the church and financial empire he founded to a daughter and three sons. It numbers hundreds of organizations dedicated to peace, encompassing all areas of life. And he is only one of hundreds of thousands of priests and religious scholars who share that admiration of Rev. Moon's work and teachings. 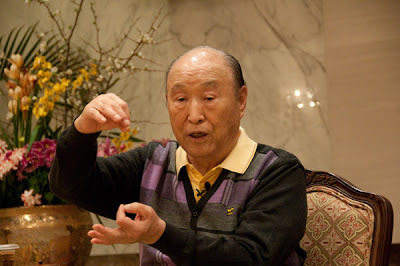 Hyung Jin Moon, one of several offspring who have roles in the religious movement, is now president of the Family Federation for World Peace and Unification, which entered the United States in the late 1950s. Hyung Jin is the seventh and youngest son of Rev. Moon. Elder brothers Kook Jin Moon, 39, is in charge of business ventures in South Korea, while Hyun Jin “Preston” Moon, 40, is chairman of News World Communications, the parent company of The Washington Times, United Press International and other media properties. In addition, he leads The Washington Times Foundation. Rev. Moon’s second daughter, In Jin Moon, 44, is in charge of the U.S. church. The church has expanded its operations far beyond the religious sphere to hundreds of ventures, in more than a half-dozen countries, ranging from hospitals to universities. A list assembled by the Associated Press includes a ballet company, a professional soccer team, the New Yorker Hotel near Madison Square Garden in Manhattan, a South Korean ad agency and ski resort, and a seafood distribution firm that supplies sushi to Japanese restaurants in the United States. Rev. Moon became the "Champion of Inter-religious reconciliation" by one simple method, that no one used in the past. He simply brought representatives from all faith to work heart to heart for a common cause. Rev. Moon's teachings really bring a revolution in understanding and a "Revolution of Heart and Conscience". IT IS AMAZING WHAT ONE MAN DEDICATED TO GOD CAN ACHIEVE IN HIS LIFE. Perhaps no other person has founded and funded so many organizations for peace and human betterment than Reverend Moon. His works touch nearly every area of human endeavor. In recognition of his tireless work of six decades to solve mankind’s most difficult problems, Reverend Moon also has a remarkable global network of friends, allies and supporters representing every religion, race, culture, nationality and profession. How He Does It. Many ask how Reverend Moon accomplishes so much. He says the most important thing is prayer. Before initiating a new area of work, Reverend Moon first invests many hours of study, research and reflection. He then outlines a vision for the work. Central to his vision is the core universal principle of living for the sake of others. Then he assembles people committed to this work. His ability to inspire others to dedicate with him to worthy causes is legendary. Working side by side with them from early morning until late at night, he challenges people to give their best. With this foundation, the work moves forward, builds momentum, and gains professionalism. Father and Mother, Rev. and Mrs. Moon, together with Hyung Jin Moon and Yeon Ah Moon, are on a tour that includes 7 nations in Europe and 1 nation in the Middle East. The first program took place in Madrid, Spain. True Parents had flown directly from Korea, where they had held a program on April 24, before 12,000. They arrived in Spain and the next morning HDH went for 7 hours. Father was full of energy and dynamism, very inspired to be in Europe, in a country that previously had blocked his entry during the dark ages of the Schengen ban. We are living in a "dead end age", a time where there's nowhere to turn; it is at this time that Rev. Moon appears as the "pillar." He spoke about DP, "Don't think of Divine Principle in terms of lectures, but as universal education for all ages, from pre-school all the way through graduate level education and beyond." Lunch was in a restaurant overlooking the beautiful city below, a place where Christian, Muslim and Jewish people and cultures had lived together harmoniously. The main program in the evening was exciting. Father was full of energy and vitality, expressing himself freely, joyfully, intensely and affectionately to a responsive audience of 700. He spoke for 3.5 hours. Read at UPF.ORG. Among many things Rev. Moon mentioned that he is not yet 100, and therefore he is still in his youth. He joked that he could probably defeat 33% of those in the audience. This brought much laughter. He said Spain was so beautiful, "I applaud you and give you my blessing". While he spoke about God's heart and our responsibility at this time in history, he was in tears as he read. Dr. Song gave a historical overview of True Parents visits and providential activities in Europe over several decades. Tnan True Parents traveled to Rome. Kwon Jin Nim and Hwa Yun Nim also arrived in Rome too. It is wonderful to see True Parents together with Hyung Jin Nim and Yeon Ah Nim. They are continuously together, and Hyung Jin Nim is always service Father and Mother so well. True Parents visited also Vatican City. Many Catholic pilgrims are now gathered in Rome to witness the beatification [a final step toward sainthood] for Pope John Paul II. About 52 hears of state, primarily from Catholic countries, are also in Rome for this occasion. Yet, Father's primary concern was about the heart of Jesus. He spoke about how Jesus, during his life, had not place to lay his head, or to have a meal or even a drink of water. Was it any different now? Father spoke about the value of the Marriage Blessing and said each blessed couple has the responsibility to "become one." 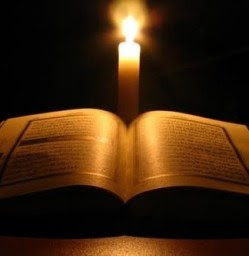 Father said that even God, at times, marvels at the content of Divine Principle. The Reverend Sun Myung, is the greatest spiritual leader in our time. He taught and continued to teach the fundamental principles of life and the universe. He not only teaches them but lived it before ever mentioning them in his speeches. I have never heard of a religious leader like him in our time. You can see and feel how much he loves God and Jesus through his speeches and programs and activities he initiated since the creation of the Unification Church. His youngest son, Reverend Hyung Jin Moon has accepted the responsibility to take care of the Unification Church affairs and had been reforming the church from inside out together with his elder brother Dr. Kuk Jin Moon and elder sister Reverend In Jin Moon.